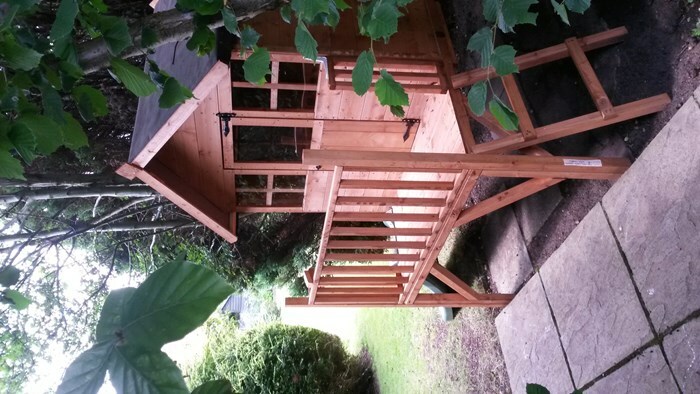 Take a look at this fantastic playhouse from the BillyOh range. 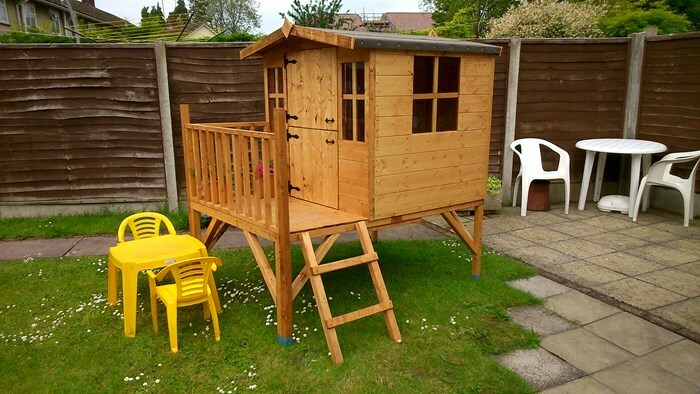 The Bunny Tower Playhouse features a unique raised tower design which offers your children all the fun and excitement of a unique playhouse. 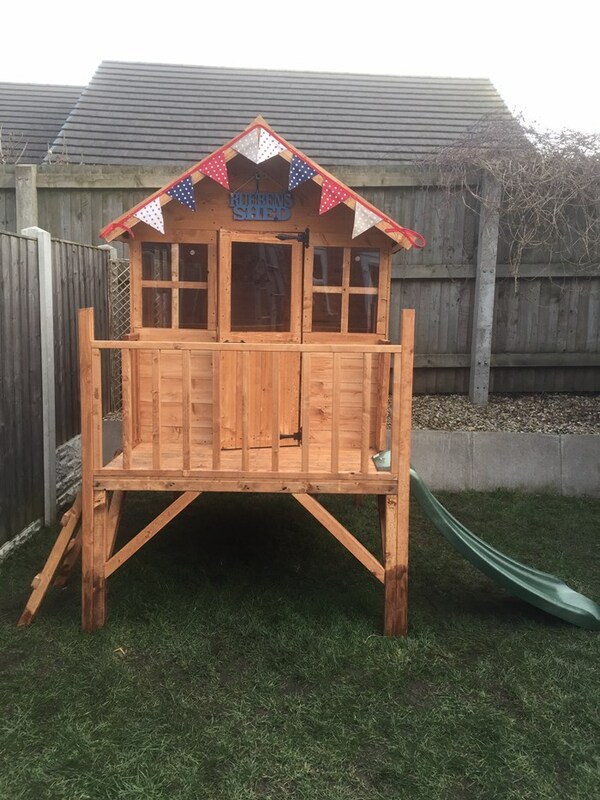 Designed in a cottage-style, this beautifully crafted playhouse has a number of great features as well as optional extras, such as a fun slide which will amuse your children for hours on end! 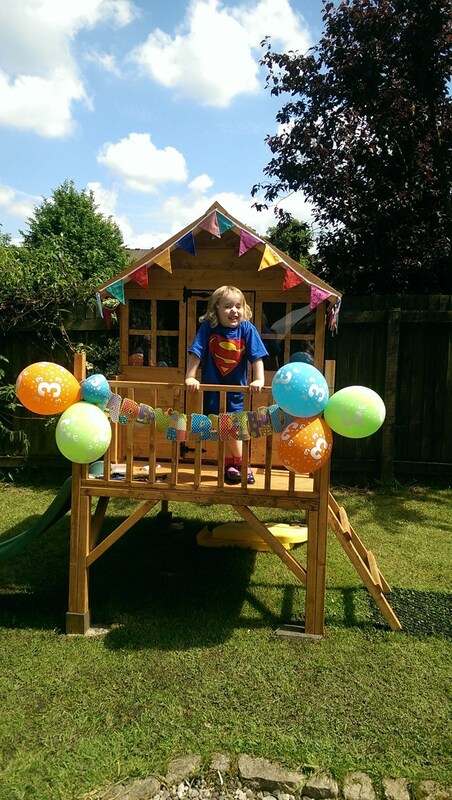 By gifting your children with a playhouse, you are also helping them to keep active and healthy! The raised tower design of this Bunny Tower playhouse is a great feature that your kid’s will love. 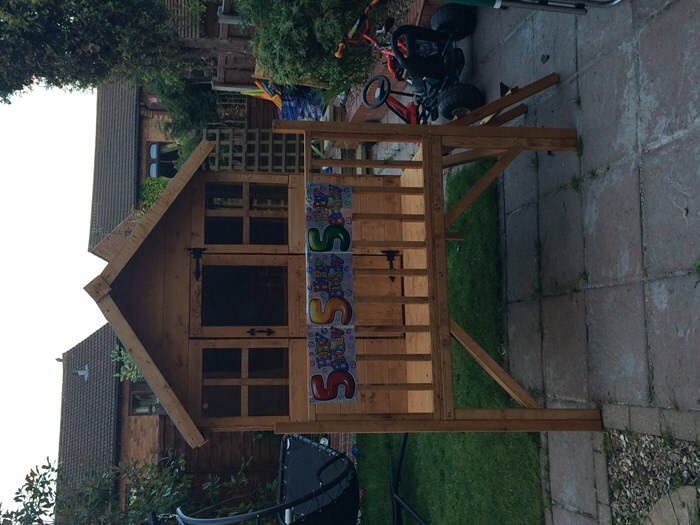 It’s also makes this impressive playhouse stand out from the crowd! 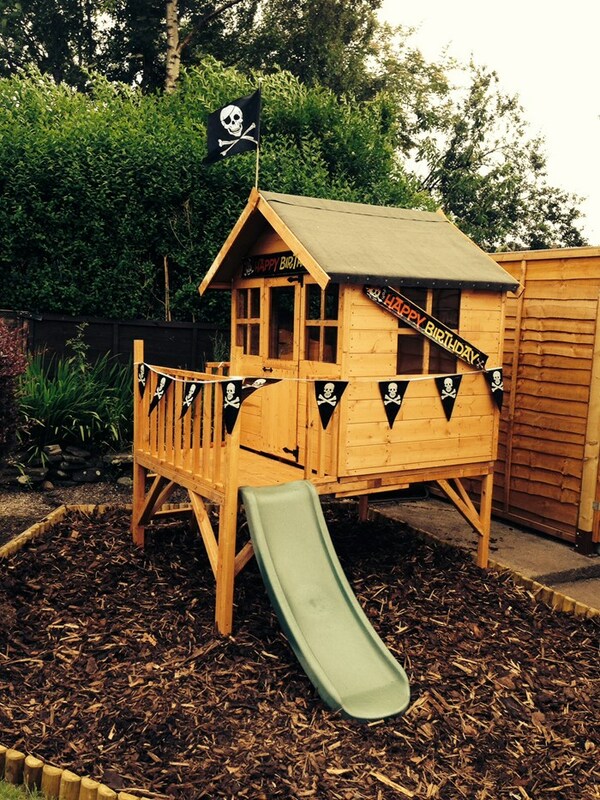 Let your children enjoy great views of your garden whilst having their own private hideaway to relax and play in. 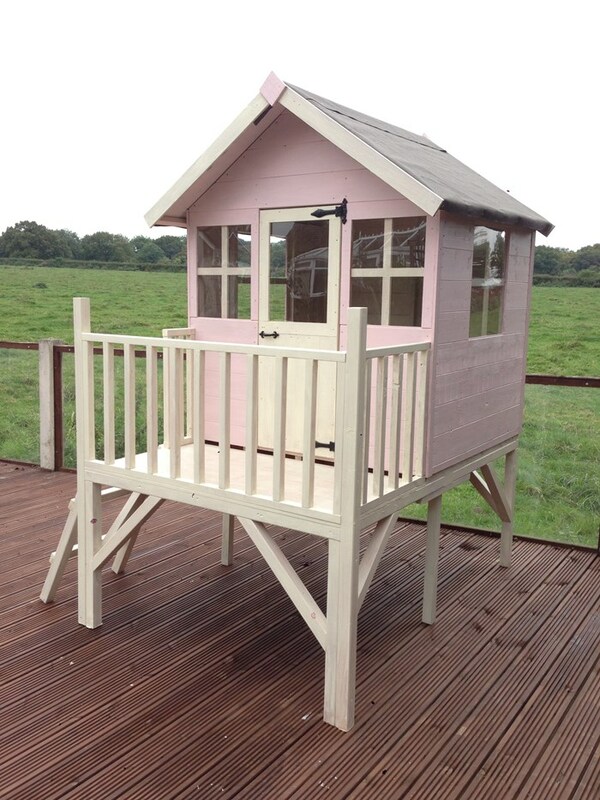 Available in a range of sizes, you are sure to find a Bunny Tower playhouse that is suited to your garden needs! 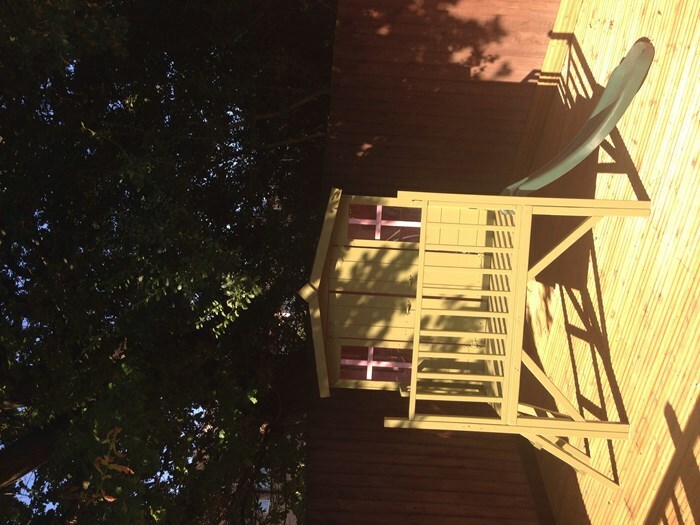 Your children can climb up the ladder and down the slide when using this playhouse! As an extra fun feature that will create a wow-factor for your garden, you get the option of adding a slide to the Bunny Tower. 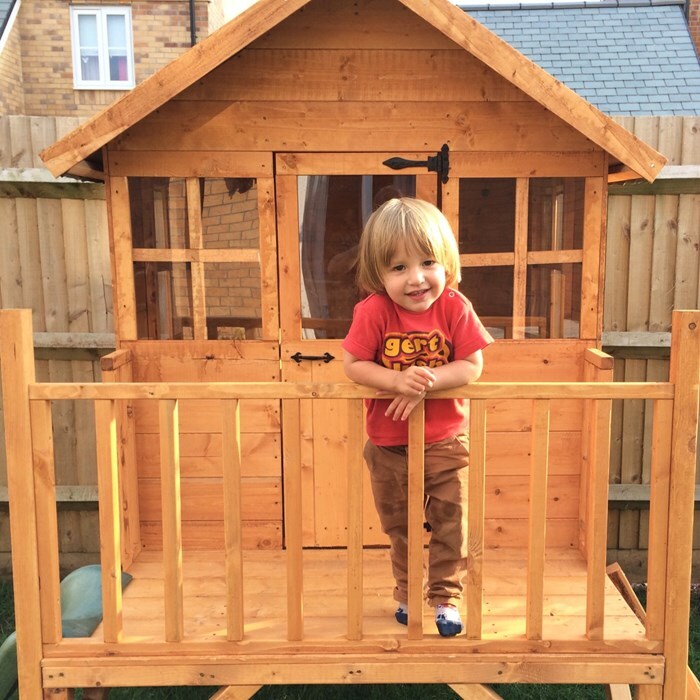 Your children will spend hours having fun in the garden with the addition of the Bunny Tower and all the exciting features that make this playhouse so unique and special! 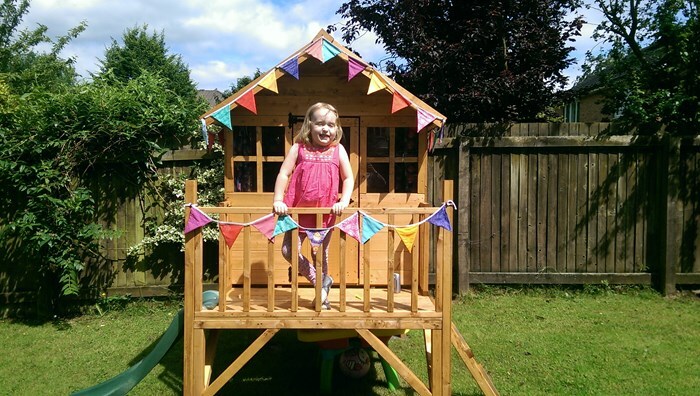 In order to keep your playhouse feeling light and airy for children to play in, the Bunny Tower playhouse features four fixed windows and a stylish saloon door. The windows are covered with a styrene glazing material that is durable and easy to clean, meaning little maintenance is required. 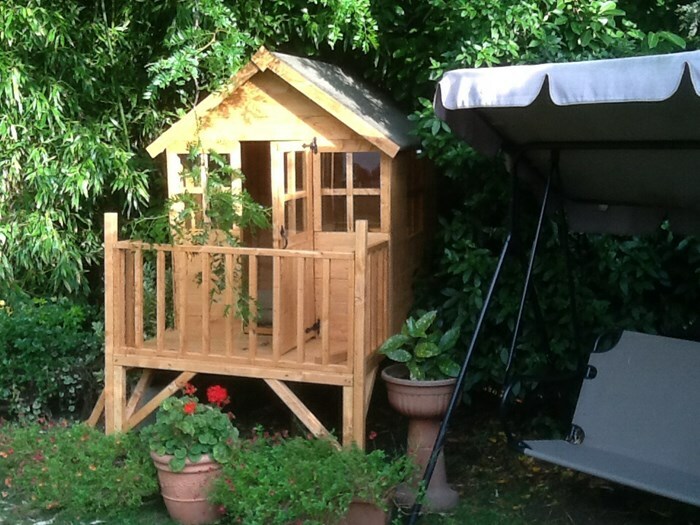 The Bunny Tower playhouse is constructed using an incredibly popular tongue and groove construction. The panels have been pre-engineered to interlock together, which gives the unit it’s great strength, as well as providing a rustic, all-round smooth finish. 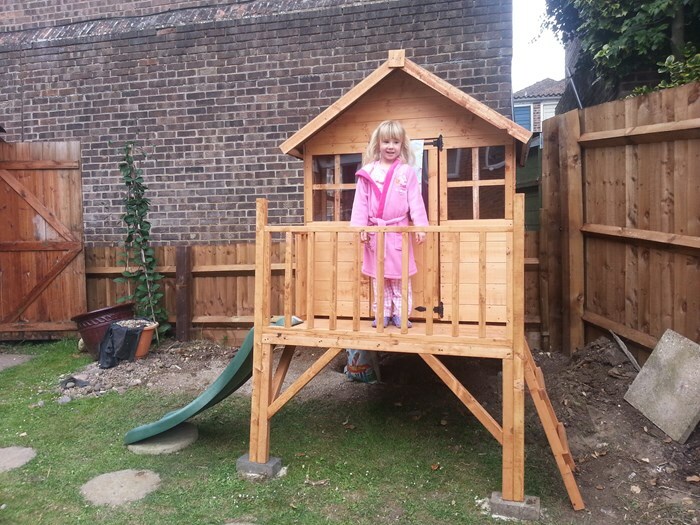 As the panels interlock together, they give the Bunny Tower playhouse great protection from the elements. A Black Sand Felt roof stops water from entering. Supplied with your playhouse is a sheet roof. This is pre-cut and is easily attached using the fixings for a quick and easy assembly. We also supply a solid sheet floor as part of our standard Bunny Tower package. The floor comes pre-cut to size and is simply attached onto the floor joists, so all you need to do is lay it on the floor and build your way upwards. The solid sheet floor is equipped to handle all domestic use and is a solid base for handling all of your children’s toys! To make the handover and delivery as straightforward and as possible, each one of our pre-engineered tongue and groove panels have been designed to fit through a standard door. We know that not all gardens are easily accessible so we’ve avoided any potential issues for you! If necessary, simply transport the boards through your front door and to your garden for minimal fuss and stress. Width 155.6cm 5'1" 231.2cm 7'7"
Depth 169.8cm 5'7" 169.8cm 5'7"
Eaves Height (Inc Floor) 165.6cm 5'5" 165.6cm 5'5"
Ridge Height (Inc Floor) 177.6cm 5'10" 177.6cm 5'10"
Width (Internal) 117.2cm 3'10" 117.2cm 3'10"
Depth (Internal) 105.6cm 3'6" 105.6cm 3'6"
Ridge Height (Internal) 111.8cm 3'8" 111.8cm 3'8"
Window Dimensions 41.2cm x 44.5cm 1'4" x 1'6" 41.2cm x 44.5cm 1'4" x 1'6"